You can use is absolutely anywhere: in the office, on holiday, while travelling or even trekking in the wilderness. The pressurizing pump is included, enabling you to generate a 16 bar pressure reading. Then it’s just a matter of adding hot water from a kettle or a thermos/flask, espresso coffee (ground or pods) and that’s it! No battery or electricity is needed – perfect for environmentally conscious users. The Handpresso Pump is available to purchase through The Coffee Warehouse for $160 plus postage. 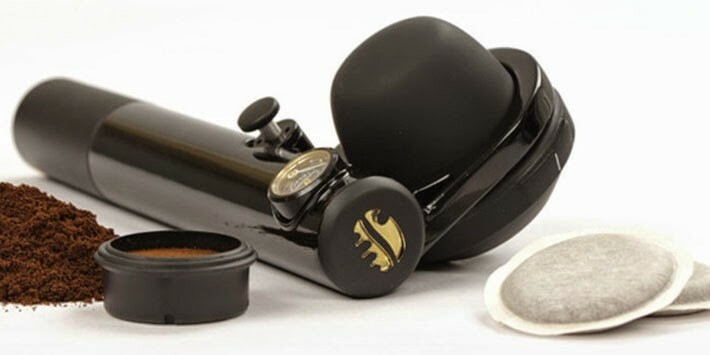 If you would like to order a Handspresso Pump, please contact Andrew on 0412 203 921 or email him at andrew@nullcoffeewarehouse.com.au for a quote including postage within Australia.